We attend rallies in Maritimes and B.C. 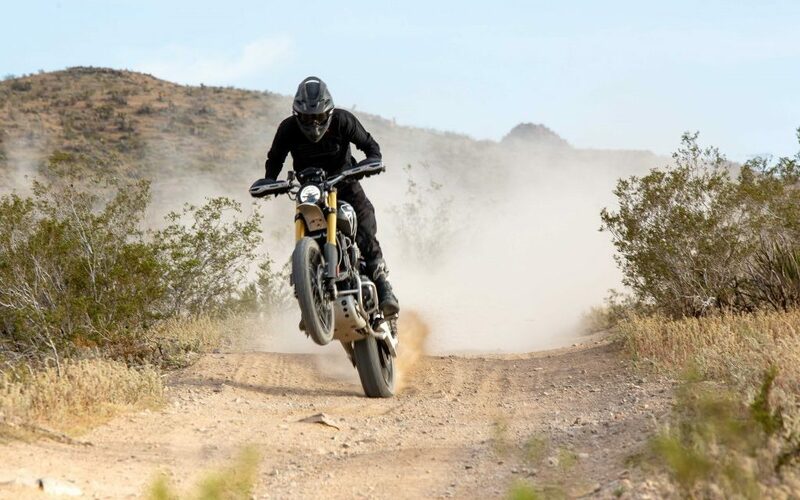 Adventure motorcycling is the rising star of the motorcycle world these days. 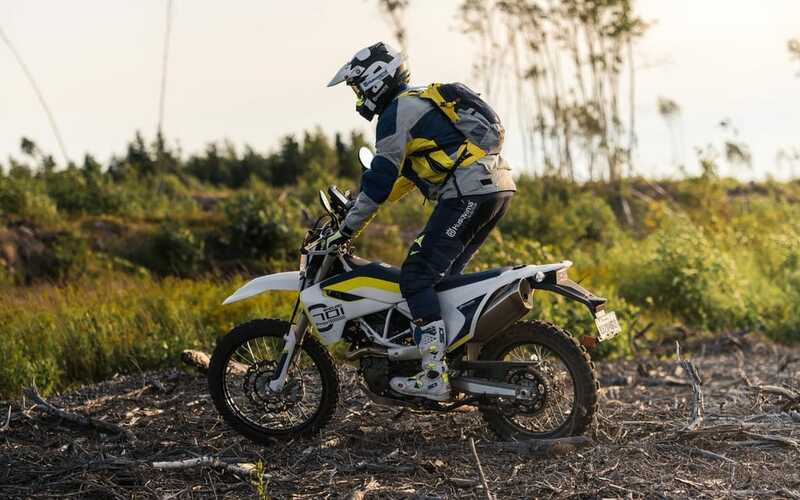 Fifteen years ago, only a few adventurers dared to take their enduro motorcycles and convert them for long-range, off-road touring. 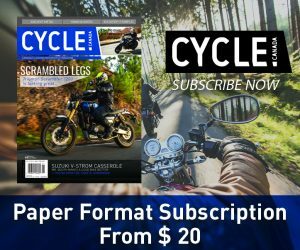 Consumers now have a wide choice of motorcycles to choose from and they are buying into the dream of riding around the world on a big dual-purpose bike. However, we all know that few of these bike owners will actually leave all behind to go riding into the sunset for a year or two. Most big dual-purpose motorcycles rarely see dirt at all. It’s unfortunate because it turns out that these giants actually can ride trails. But frankly, what adventure bike owner wants to bring his or her twenty-grand bike into rough trails, risking scratching it or worse, hurting himself. If you never rode off-road on a motorcycle before, starting with a 500-pound gorilla may not be the best idea. Especially when you have to work on Monday to pay for said bike. Having attended almost every GS Challenge and Orange Crush rally in Quebec, I thought it’d be nice to meet fellow riders from both sides of the country to see why they do it and who decides to spend a weekend risking injuries and motorcycle damage and spending money without even a slight chance of fame or fortune to be earned. I first went to the New Brunswick Fundy Adventure Rally where the host and organizers greeted me with big smiles and a BMW 800GS to ride around the trails and watch the Canadian final of the GS Challenge where nine finalists would battle for one of three spots on the Canadian team for the GS Trophy. 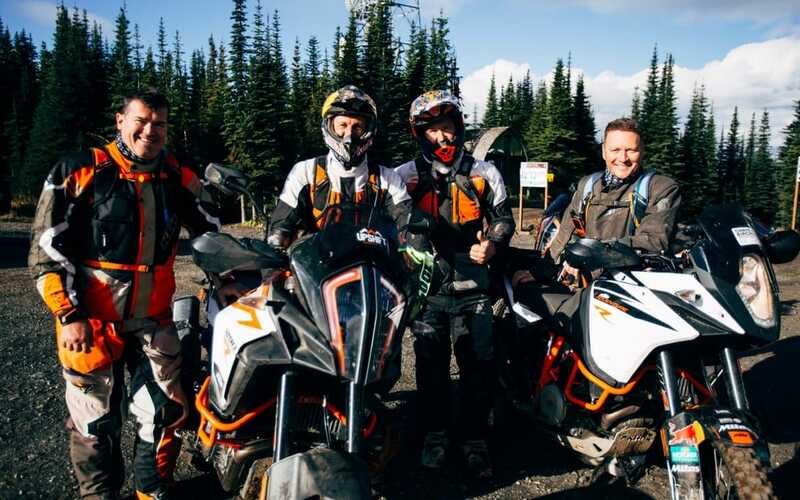 A month or so later, I flew to Kelowna, B.C., to attend the first KTM Adventure Rally that was held in and around Silverstone Ski Resort. Landing in Moncton on a chilly Thursday afternoon, I met with GS Challenge finalists and hopped in a van to get to Adair’s Wilderness Lodge in Shepody, 20 km from Fundy National Park. The nine finalists came from all over Canada, being selected through rigorous testing in three different GS finals held in Alberta, Ontario, and Quebec. 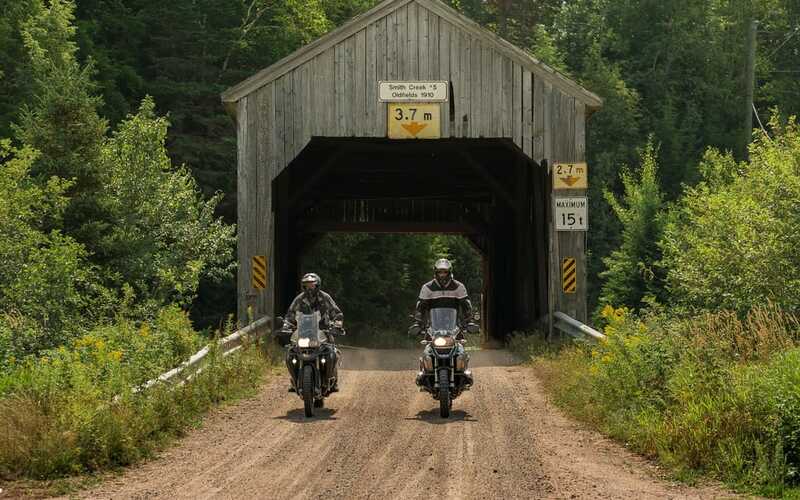 The Fundy Adventure Rally or F.A.R. was initiated in 2014 by fellow journalist Rob Harris who sadly passed away in May 2016. 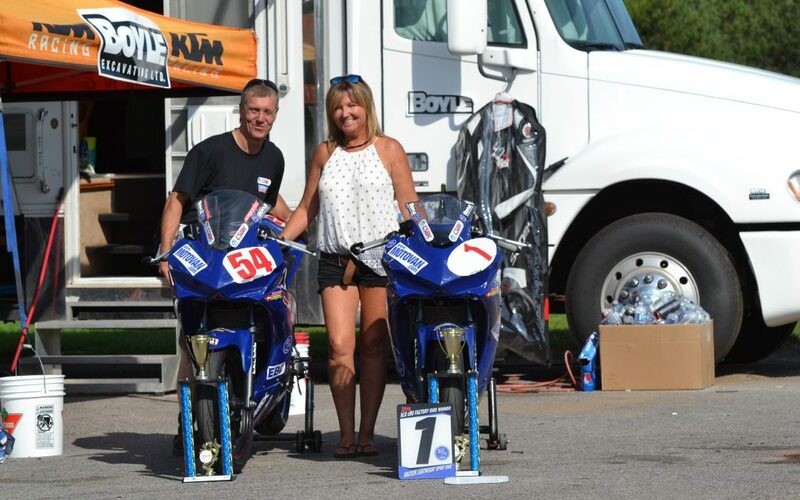 Eric Russel’s company Canada Moto Rallies has been completely running the FAR for the last 2 years in Rob’s memory but also because this thing is darn fun and Rob would have wanted that. New and experienced riders flock from all around to ride the trails around there for a weekend. Joined by his wife Terry and a team of enthusiastic riders, they kept pushing, exploring the trails of the area to design a set of different level rides every year. The nine finalists were selected through a series of weekend rallies where they had to finish in the top three to get to this final. 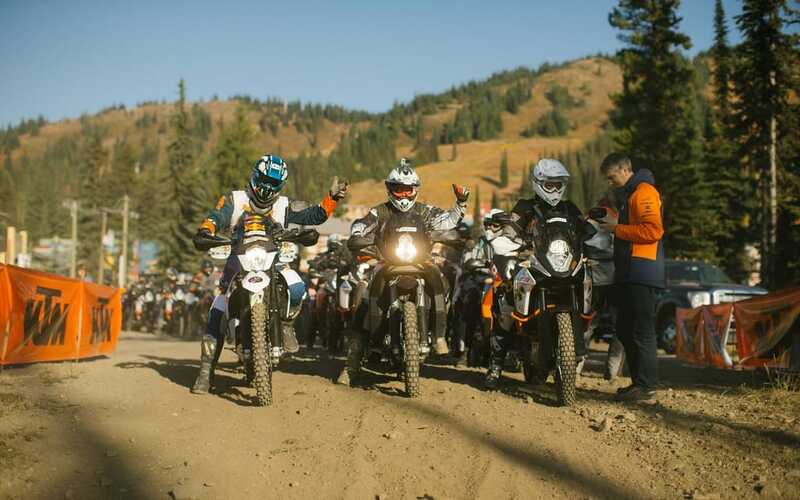 The GS Trophy started 10 years ago as a friendly competition among GS riders to determine who could take these bikes in and around different trials. Each test was made to demonstrate their skills and ability to control their bikes at slow speeds, a bit like a trials bike course. The weekend rally and the tests are open to all brands but the only GS owners can win a spot to the GS Trophy final. It is after all a BMW event. While attending the F.A.R. 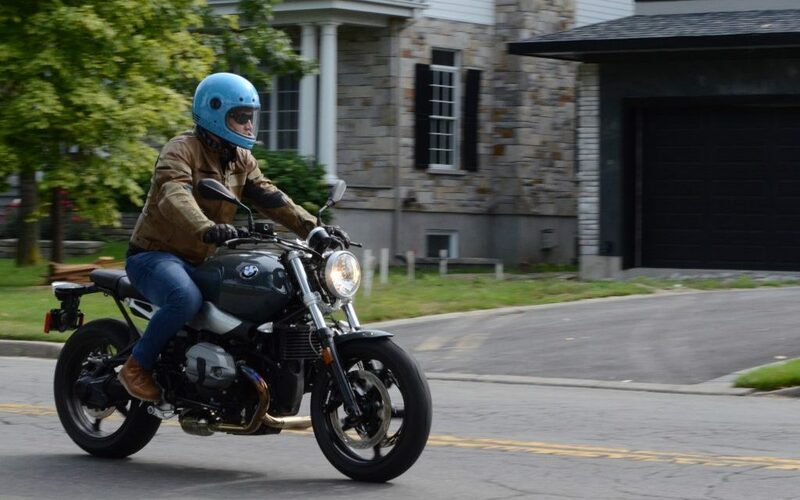 we met with BMW Motorrad Canada marketing manager Chris Duff to talk about why a brand gets involved in a competition like this. CC: Chris what was the idea that sparked the GS Challenge? CD: The GS Challenge originally was a customer competition to build team spirit and camaraderie. A lot of people had these big adventure GS bikes but didn’t know what to do with them and weren’t exploiting all the possibilities offered by these bikes. Motorcycling used to be singular. 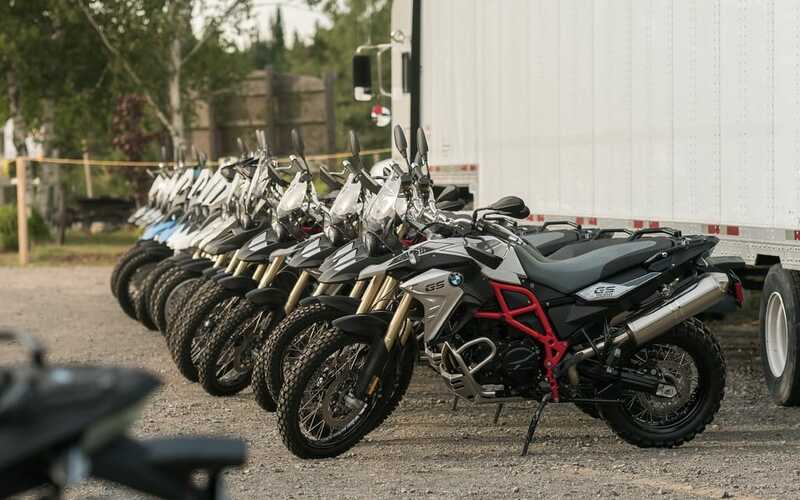 BMW wanted the customers to meet other riders and feel safe riding our big GS in trails. CC: How does it work? CD: We have three challenges from coast to coast starting with Ontario, then Quebec and Alberta. Then it’s off to the global competition we call the GS Trophy. It’s held every other year in a different location around the world. CC: You would think it’s a young man’s sport but I see guys of all ages here. CD: Yes, certainly. The key is that there are certain obstacles that favour youth but others favour experience. Riders come from different kinds of riding. Some come from riding on and off road, some motocross and others from trials but it’s open to all. The only thing we ask is that you must be a BMW GS owner to have a chance to participate in the final. To make it at the Canadian final one has to go through the regional challenges and finish in the top three. The nine finalists finally face off here at the FAR rally to win their spot on the GS Trophy team. CC: It seems like a huge investment for BMW. CD: Oh yes, the GS Trophy is a huge investment in resources because all the countries participating have to select their team in GS challenges. BMW Motorrad in Germany organises the GS Trophy final and all national sales companies organize the regional ones. 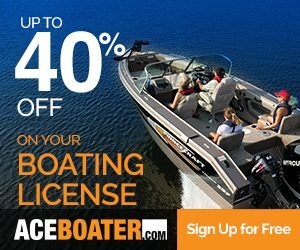 CC: Why not simply do an advertisement campaign to sell adventure models? CD: It’s also a great way to get riders to discover what the bikes can do. All brands are welcome to the rally but the final is reserved for BMW customers. 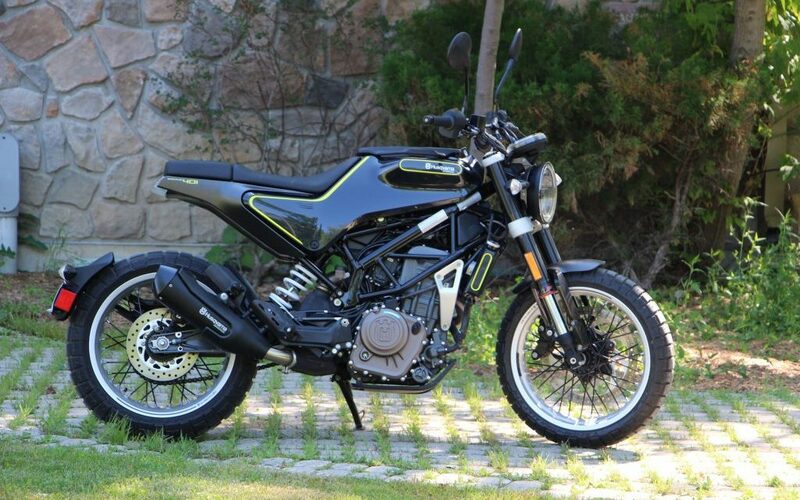 It also promotes dual sport riding in general. CC: I guess the Long Way Round series helped spark it all? CD: Exactly. It was huge. Long Way Round promoted adventure riding like nothing before. People watched the series and then aspired to go riding to Yukon, the east coast and then branched out to Baja, Chile and other exotic lands. We definitely saw an increase in our international GS sales thanks to that series. CC: Where is the next GS trophy? CD: In Mongolia. We have scouters planning routes that will challenge the riders in many ways. There will be warm days and cold nights and physical fitness and stamina will be tested as much as the riding skills of each of the 24 teams competting. Let’s just say that a positive attitude will be welcome. CC: Is it better for you to do that than to have advertisement campaigns? CD: We have lots of information and traffic with this event. We have reports all day and a ton of information that comes out every day from the teams and our staff following the routes. The off road community is tight knit and people seem to like to cheer for their team. 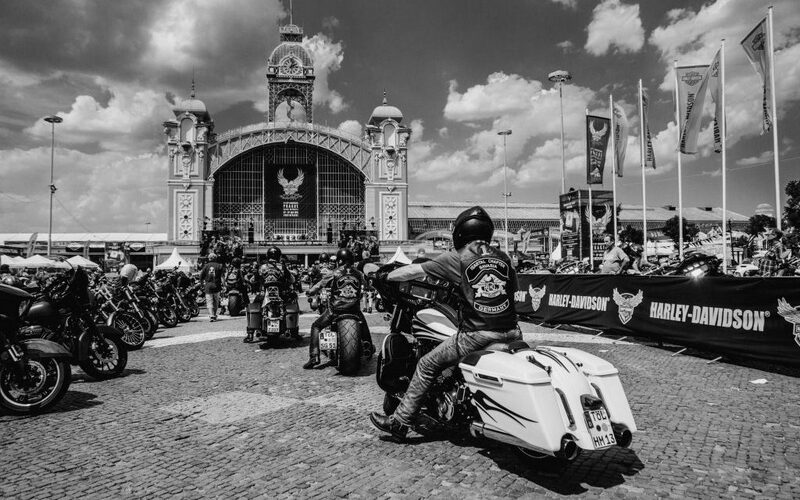 It’s also an event that reaches beyond just the motorcycle community. Lifestyle media cover it, extreme sports media are getting interested as well. One of the referees at this years GS Trophy final attended the competition five times before winning his spot on the Canadian team. It is a tough event and riders have to be experienced off-road riders but they also have to be experienced in GS Challenges. Watching the competition I thought that even experienced riders I know could have a hard time doing these skills tests. It’s not every day you have to crisscross your bike through a labyrinth of logs, forcing you to go from steering lock to steering lock five times in a row. Or push your bike through an obstacle while being timed and watched by a jury. Other skills that are tested are slow speed ability, hill climb, stop and go, balance on and off the bike, orientation and team spirit. 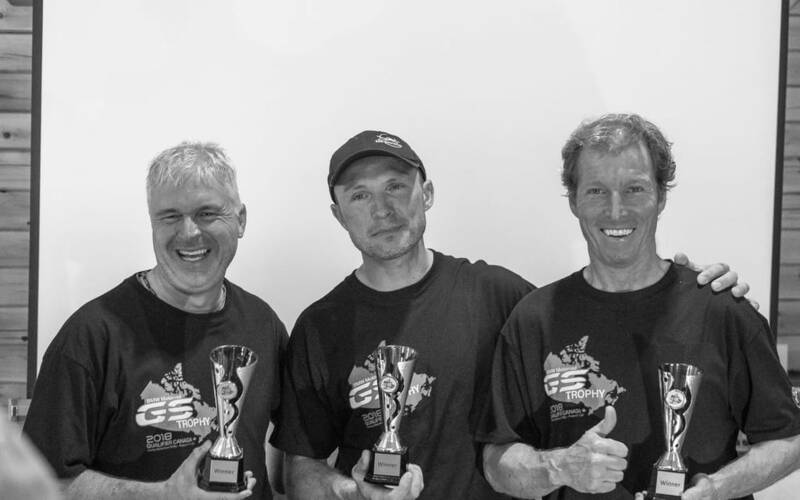 The head referee at the Canadian final was Patrice Glaude, an avid GS participant before winning his spot on the Canadian team who then went on to become a motorcycle instructor and referee at different GS Challenges. We had a moment to exchange with the tall and affable judge. CC: Patrice, how do you figure out the skill tests you will do? 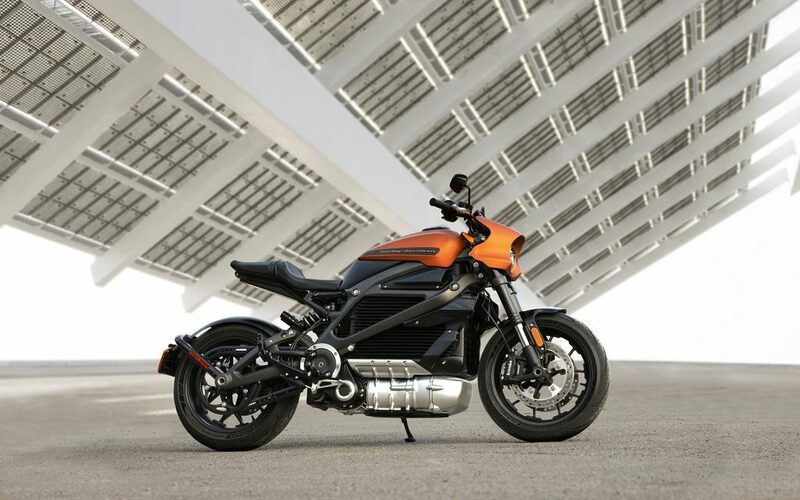 PG: Some tests are determined by BMW Germany to test the riders the same way in every country but we have a certain latitude to reinvent exactly how we test the skills. CC: What do you have to evaluate? PG: It’s of course the ability to ride a motorcycle off road but we also want a group of riders that will work together to win. We pay attention to team spirit and physical form because that will be needed when riding for seven days straight in hard conditions. CC: Why do people do it? PG: Some guys watch others do it and think it’s impossible and then they start trying and realize it’s not only possible if you dare but also fun. It’s also fun to be able to control a 500 pound motorcycle riding in a tight muddy trail. Or go up a rock hill like riding motocross. The scenery is just beautiful as you ride along lakes, through forest, sand pits and take the occasional mud bath. Another aspect of it is that it’s not dangerous. Well, not that much. Most skills test are done at slow speed, mostly in first gear so a rider may get a swollen ankle but most people can do it safely. 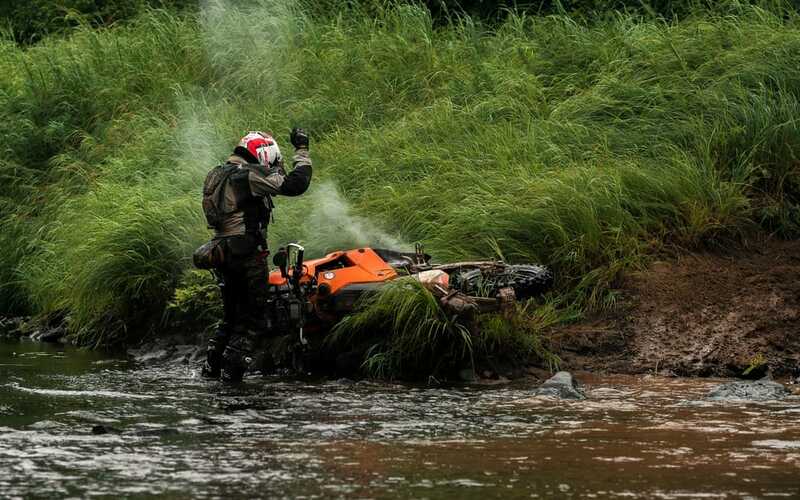 KTM has been a sponsor of Quebec’s very popular Orange Crush Rally for the last three years. 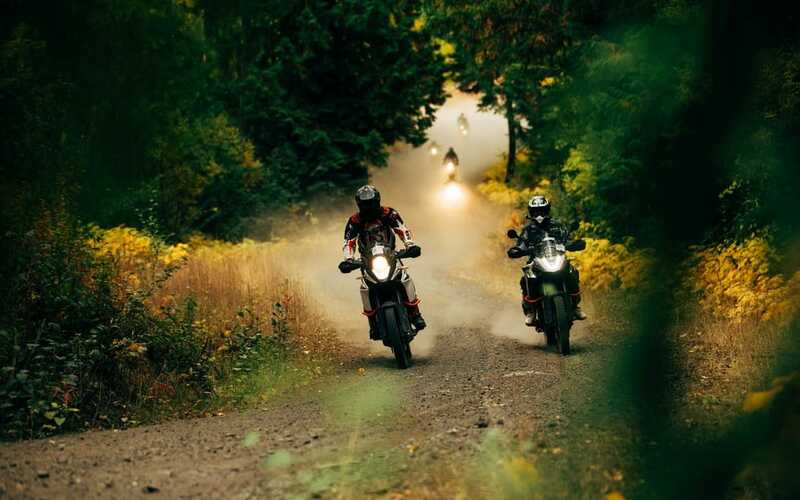 It was a matter of time before the concept would be brought to western Canada where the topography is perfect for an adventure motorcycle rally. The Silverstone Mountain resort was the perfect setup to do it. 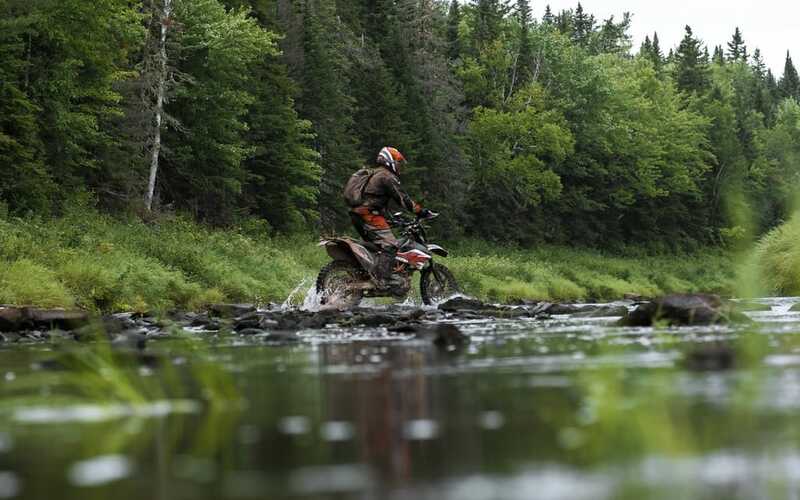 Lots of trails of different levels of difficulty are available to choose from: rocky trails, sandy hills, tight forest trails, muddy backroads and fire roads to connect them all. Different trials type special test sections were also on the program for the weekend. The organizers really had a wide selection to create a formidable buffet to plan the two rides offering easy or medium challenges to participants. All brands were welcome and even though there were a majority of KTM models they were surrounded by GSs, Yamaha Super Ténérés, Honda Africa Twins and a couple of KLRs. A hundred fifty riders attended this first edition and considering the comments we heard on the final night, there will be more next year. KTM invited two specials guests. Three times Baja 1000 winner Quinn Cody was there as a member of the KTM factory development team for the 1090R. KTM Red Bull extreme enduro rider Chris Birch was also along for the ride and offered a day class a couple of days before the event. Some riders admitted that without Chris’s tips, there may have been more DNFs at the end of each day. Both gifted riders were all smiles and many riders wanted to ride along with Birch for a few minutes (or more if they could follow the hard enduro rider). 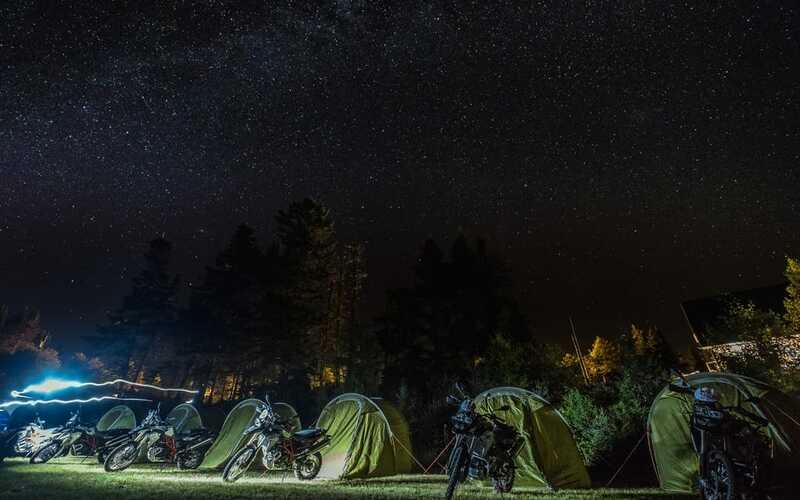 With events like these and manufacturers offering ever so competent new motorcycles, we can see a great future for adventure riding. It’s fun, challenging, some times extreme and most of all a great way to meet other dual-purpose enthusiasts.